This Mobage-powered card game has us drooling. In the near future, DeNA plans to roll out its next free-to-play iOS and Android game, Transformers Battle. 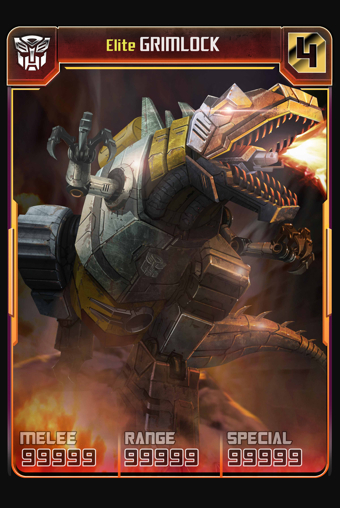 Although we've yet to get our hands on this exciting title (though it is available to play at this weekend's PAX Prime expo), we did manage to track down some new screens that reveal more robots in disguise, along with the likelihood that you'll find their cards during play. On deck: Blaster (uncommon), Elite Grimlock (super rare), Hardshell (common), Smokescreen (common) and Sunstreaker (common). We'll have more on this game soon. For now, check out the other screens by clicking here.